For over 25 years, Nervous Melvin and the Mistakes has delivered high energy dance music to audiences throughout the eastern United States. 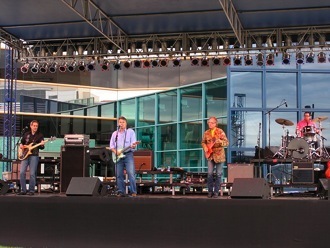 Band members include Todd on rhythm guitar and lead vocals; Dennis on lead guitar, bass, and vocals; Scott on drums; and Don on bass guitar, keyboards, and vocals. The Sharie Bardo Explosion is a 5-8 piece high energy dance band perfect for all your entertainment needs. Nashville Rage Magazine writes “they do it all and nail it”. You envision the perfect band and we will provide you with a night of EXPLOSIVE entertainment!